Last week in Lesson 4, we learned to ask questions. When visiting the Forest Moon of Endor, one may wish to actually visit the Ewok's Village. In which case, you need to know how to say "Vootok" for village in Ewokese. Another great reason to know this word. 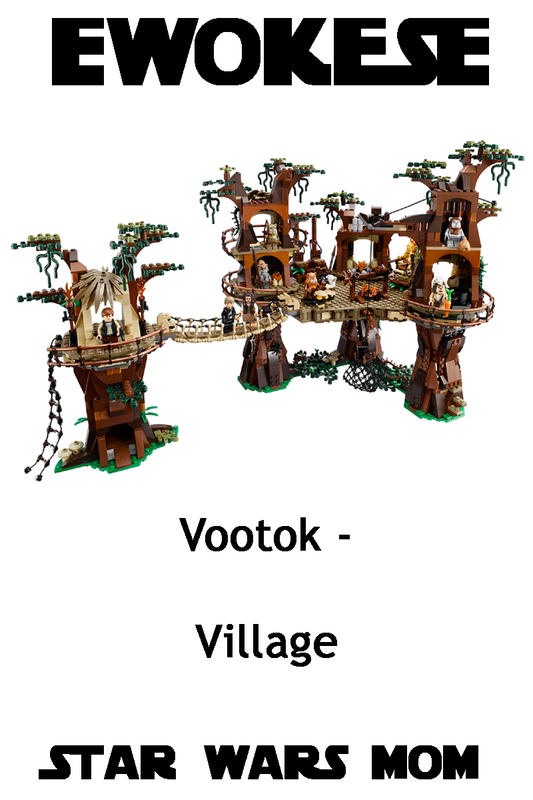 Let's just say that you want to build your new Lego Ewok Village with your twin, but don't want your annoying little sister to know. You can hint at your twin sibling, "Vootok." Your twin responds, "Chak," meaning "yes" and now you two can go have fun while you sister thinks you guys might be talking about something gross and goes back to playing with her Princess Leia doll.